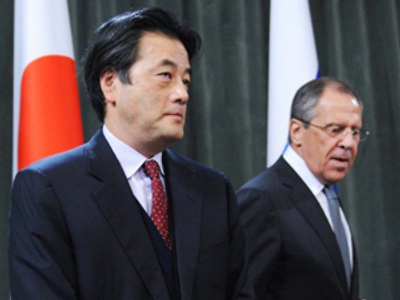 Russia and Japan need a mutually acceptable settlement of the peace treaty problem, which is a delicate process demanding a respectful and attentive attitude to the partner's position, noted the Russian Foreign Ministry. In the last weekly address of 2009, Russian Foreign Ministry spokesman Andrey Nesterenko spoke about various issues of international politics including relations with Japan, EU, Egypt, Uzbekistan, results of the Climate Conference in Copenhagen, the forthcoming London International Conference on Afghanistan, G8 presidency, new START Treaty progress, protests in Iran, weapons smuggling and other issues. Today is this year’s final briefing on Russia’s foreign policy and international agenda. As for the foreign policy Year Wrap Up for 2009, Russian Foreign Minister Sergey Lavrov has already made some preliminary statements in this regard to the mass media, in particular to the Interfax Agency, “Rossiyskaya Gazeta” newspaper, and the news channels “Vesti” and “Russia Today”. The minutes and video versions of these interviews are available on the Ministry’s website. I would also like to remind you that Sergey Lavrov’s traditional large Year Wrap-Up press conference for the domestic and international mass media is scheduled for January 20th so far. We will confirm the date after the holidays. On 20-21 December, Russian Foreign Minister Sergey Lavrov paid a visit to the Arab Republic of Egypt. During his stay in Cairo, he was received by the Egyptian president, Hosni Mubarak, to whom he passed on a written message from Russian President Dmitry Medvedev, and held talks with the Minister of Foreign Affairs of Egypt, Ahmed Aboul Gheit, as well as meeting Secretary General of the League of Arab States Amre Moussa. The talks with the Egyptian leadership were aimed at promoting the implementation of the agreements reached at the Summit of the Presidents of the two countries in Cairo on 23 June this year, concerning further development of the foreign policy interaction between Russia and Egypt, primarily in regional affairs, and stepping up bilateral cooperation in various fields. Lavrov and Aboul Gheit had a regular, fifth consecutive round of the Russia-Egypt strategic dialogue at the level of foreign ministers. A Plan of Consultations between the Foreign Ministries for 2010 was signed. During his visit to the Arab League, Minister Lavrov and Secretary General Amre Moussa signed a Memorandum on setting up the Russian-Arab Cooperation Forum, agreed upon during the meeting between President Medvedev and Secretary General Moussa in Cairo on 23 June 2009. Both sides confirmed their confidence that this step will help improve forms and methods of cooperation between Russia and the League's member states. During his visit Lavrov also awarded Aboul Gheit, Amre Moussa andAhmed Fathi Sorour, the speaker of the Egyptian People's Assembly and the Chairman of the Egypt-Russia Association respectively, with the Orders of Friendship as per the Russian president's decree, in order to acknowledge their great contribution to the development of cooperation between Russia and Egypt. On 21-22 December Russian Foreign Minister Sergey Lavrov paid an official visit to the Republic of Uzbekistan, during which he was received by the president of the republic Islam Karimov. Lavrov held talks with his Uzbek counterpart, Norov, during which the sides discussed topical issues of cooperation between Russia and Uzbekistan within the context of preparing to the pending Russia-Uzbekistan summit. The talks were held in the atmosphere of mutual trust and friendship. The Foreign Ministers signed a Cooperation Program between the Russian Foreign Ministry and the Ministry for Foreign Affairs of Uzbekistan for 2010. On 23-24 December Minister for Foreign Affairs of the Republic of Abkhazia Sergey Shamba visited Russia. During the visit, Russian Foreign Minister Sergey Lavrov had talks with his Abkhazian counterpart to discuss issues of further development of friendly relations, building a full-format interstate interaction, implementation of the Memorandum on Mutual Understanding between the Foreign Ministries of the two countries and assisting Abkhazia with security issues, as well as cooperation in international affairs and preparing diplomats for the republic. It was noted that with the solid contractual framework of our relations – where we can mention the Treaty of Friendship, Cooperation and Mutual Assistance, as well as agreements on joint efforts signed earlier on the subject of state border defense and military cooperation – our bilateral interaction is sure to grow stronger and help improve the situation in the region in general. 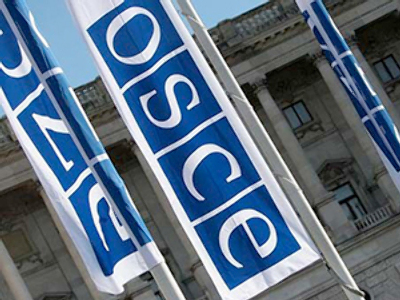 The sides synchronized their watches following the results of the latest round of Geneva Talks on Stability and Security in the Trans-Caucasus region. An agreement on terms for setting up diplomatic representations of the two countries was signed. Shamba's visit is another step towards building a fair and mutually beneficial cooperation between Russia and Abkhazia. It's worth noting that prior to Shamba's visit to Moscow, a Representative Office of the Federal Agency for the Affairs of the Commonwealth of Independent States, citizens living abroad, and international humanitarian Cooperation Rossotrudnichestvo opened in Sukhumi. The ceremony held for the occasion was attended by Head of the Rossostrudnichestvo, Farit Mukhametshin, and Russia's Ambassador to Abkhazia, Semyon Grigoryev, from the Russian side; and Abkhazia’s President Sergey Bagapsh, Deputy Prime Minister Aleksandr Stranichkin, and Foreign Minister Sergey Shamba from the Abkhazain side. The leaders of Abkhazia noted that the opening of the Rossostrudnichestvo representation office creates all necessary conditions for boosting of cooperation between the two countries on humanitarian issues. On 22-23 December, a regular, 32nd consecutive round of the Russia-Ukraine talks on the delimitation of the Azov and Black Seas, as well as on settling issues concerning the Strait of Kerch, was held in Kiev. During the talks certain progress was made on the path to agreeing the methods of calculating the coastal lines required in order to implement delimitation of the Azov Sea. The Russian delegation presented its version of delimiting territorial waters, the continental shelf and the exclusive economic zones of Russia and Ukraine in the Black Sea. The parties continued discussing options for settling the problem of the Strait of Kerch. The next round of talks was agreed to be held in Moscow in the second quarter of 2010. On 23 December, Russian Foreign Minister Sergey Lavrov received the Secretary General of the Council of Europe, Thorbjorn Jagland, currently in Moscow on a working visit. The parties exchanged detailed opinions on a whole range of issues related to the work of the Strasbourg organization, particularly stressing the need for promoting the renewed agenda within the Council of Europe, and improving its role as an independent and self-sufficient mechanism for promoting European unity and forming a common European space. Yesterday, on 28 December, Russian Foreign Minister Sergey Lavrov held talks with the Minister for Foreign Affairs of Japan, Katsuya Okada, currently in Moscow on a working visit. I have been asked to comment how the Russian Foreign Ministry assesses the results of Okada's visit and whether the parties have succeeded in overcoming the problems building up recently in the bilateral relations. I can tell you that the parties exchanged constructive opinions on possible ways for further development of the Russian-Japanese relations following the agreements achieved at previous meetings of President Medvedev and Prime Minister Hatoyama in New York (September) and Singapore (November). As the parties discussed plans for a political dialogue for the next year, they confirmed their mutual determination to continue it on all levels with an aim to deepen the mutual understanding and trust necessary for efficient joint work on building partnership relations between the two countries. The Foreign Ministries of the two countries also expressed their intention to cooperate in finding new opportunities to stimulate trade and economic exchange which is particularly important in view of the global crisis. The Ministers exchanged detailed opinions on the Peace Treaty issue. The Russian side emphasized the importance of sustaining a calm and mutual respect atmosphere in such discussions, which can be achieved by running such negotiations against the background of the developing cooperation and partnership between the two states on the whole. Lavrov and Okada agreed on further steps towards making the Russia-Japan interaction more substantial in solving important problems on the international agenda. To that end it was decided to hold another round of Russian-Japanese strategic dialogue at the level of the first deputy foreign ministers in Tokyo in January 2010. It was mutually agreed that closer cooperation is necessary to help restore the six-party talks on the nuclear problem of the Korean Peninsula and work out solutions to the issues around Iran's nuclear problem. An agreement was reached on stepping up interaction in multilateral formats, including the UN, APEC and ASEAN Regional Forum. Of course, we studied the statement of the Japanese foreign ministry to the news agency on the Russian-Japanese relations with attention. We would like to emphasize that formation of trust so needed for seeking a mutually acceptable settlement of the Peace Treaty problem is a delicate process demanding a respectful and attentive attitude to the partner's position, as well as to public opinion. Russian society, for instance, perceives the issues of World War II results very sensitively, because our country suffered the heaviest losses in that war. This factor should be taken into account when it comes to the problem directly related to the dramatic events of the military past. Besides, trust is formed not only and not as much by words, but by deeds. I am convinced that there will be more genuine, rather than make-believe, trust between us as we develop our mutually-beneficial cooperation, especially in trade and economy. It would substantially improve the general atmosphere of the Russian-Japanese relations and consequently ensure success in finding a mutually acceptable settlement of the problem of the Peace Treaty. It's been ten days since the UN Conference on Climate Change in Copenhagen ended. This has allowed us to analyze and assess its results. The Copenhagen Forum became a milestone event in the international climate process. The very fact that heads of state and prime ministers from more than 110 countries got together in Copenhagen indicates that this problem is of significant concern to all people worldwide. The efforts of the Russian delegation concentrated on promoting our pivotal position i.e. reaching an overall consensus in order to make the new climate policy essentially comprehensive and universal, both in terms of scope and participants. The Forum worked in a very tense rhythm and conditions, which was caused by the fact that, after the two years of negotiations within the UN, the parties were still failing to reach an accord on the parameters of a new international cooperation policy on fighting global climate change beyond 2012, when the Kyoto Protocol expires. Due to contradictions, primarily between the developed and developing countries, this failed also at the Climate Summit in Copenhagen. The Conference ruled to take note of the Copenhagen Accord, without any additional recommendations and a list of countries that are ready to support it. At the same time it should be considered that the Copenhagen Accord is a political document worked out at the leadership level of leading countries, many of which act as coordinators of relevant interest groups. Representatives from Russia and some other G-20 countries backed the Copenhagen Accord and insisted that other participants of the negotiations process should also be given an opportunity to join it. These countries are given an opportunity to submit their obligations in terms of target quantities and remediation actions into the tables within the Accord document, aimed at bringing down the production volumes of greenhouse gases over the period from 2012 to 2020. Today, joint efforts are required to determine further practical steps to make progress in producing a legally binding agreement. Russia is ready to take an active part in them in the spirit of transparency, respect for all the countries' interests, and collective responsibility and compromise. Our aim is to achieve progress in the talks and arrive at their speediest completion. We still proceed from the idea that the obligations member states of the new agreement should be worked out with consideration of a fair and proportionate load on their national economies and peculiarities. In this context, Russia will try and determine for itself economically and technologically realistic guidelines for cutting down greenhouse gas volumes, as compared with the base year of 1990. We are ready to capture it in a legally binding international treaty format, provided that all the other major member states also adopt legally binding obligations on the future climate policy. The national greenhouse gases reduction target announced by the Russian leadership in Copenhagen is down 25 per cent from the 1990 level. It is backed by the task defined earlier – to bring down Russia's energy intensity at least by 40 per cent by the year 2020, compared to 2007. The Russian government has worked out a number of regulatory and organizational measures to lead to considerable increase in energy efficiency which will allow our country make progress in implementing a sustainable development model and strengthen its competitiveness in the world. We envisage hard work ahead, without which we will not be able to promote, within the UN, the legitimacy of an efficient future global climate cooperation policy that would be sensitive to modern realities and interests of all the participants of the global economy. The forthcoming Conference on Afghanistan scheduled for 28 January, to be co-chaired by Great Britain and the Islamic Republic of Afghanistan is going to be one of the most prominent international events. Representatives of 61 countries, including Russia, as well as seven international organizations, are invited to take part in it. Our country is an active participant of the international community's stabilizing efforts in Afghanistan and will be represented by the Foreign Minister Sergey Lavrov. The Conference's agenda will include issues of transferring the responsibility for ensuring security in the country and solving crucial tasks of national development to the Afghan government, primarily in the context of preparations for reducing the foreign military presence in the country. We are proceeding from the provision that international forces cannot stay in Afghanistan forever: in the long run the fate of this country is in the hands of its people. At the same time, we are convinced that “artificial” dates for withdrawing coalition troops from Afghanistan are inadmissible. This process can be carried out without damaging the security of Afghanistan and the region as a whole, only upon condition that Afghanistan develops its own efficient military and police forces. We believe that securing the status of a neutral state would meet the interests of Afghanistan and the international community, and this is the status that Afghanistan held de-facto for a lengthy period in its history. Talking about Afghanistan I’d like to inform you that yesterday, on December 28, a ceremony celebrating the donation of 50 KamAz trucks and 2 fire tankers to Afghanistan took place in the Balkh province, located in the north of the Islamic republic. The trucks will be handed over to the Afghanistan government, and the fire tankers will serve the fire fighting forces of the Balkh province. This donation is part of the project running since 2002 in order to provide humanitarian aid to the people of Afghanistan, suffering from the military and political instability in this country. The scope of project has exceeded US$70 million. This year we celebrated the 90th anniversary of the start of diplomatic relations between Russia and Afghanistan, and Russia supplied the Islamic republic with 25 thousand tons of free wheat flour and over 40 thousand tons of articles of prime necessity. I have been asked by the Ansa Italian news agency to comment on Italy’s G8 presidency in 2009 and the cooperation of our countries within the framework of this international forum. One of the questions they asked was about the relevance of the present-day G8 format in view of its possible inclusion into the G14 and G20. Since we haven’t touched upon this issue for quite a while, I would like to give a detailed answer. We highly appreciate Italy’s contribution as the G8 president and the level of cooperation between Italy and Russia this year. The meeting of the G8 leaders in L'Aquila this July has become one of the most important international events in 2009. This summit was unique due to the exceptional scope of the discussed issues and the number of participants, as well as the number of documents agreed. The summit’s general idea was that solution to the present-world global problems can only be achieved by joint effort of the international community, including both the leading developed and developing countries. This was in line with the collective approach to addressing global issues, consistently supported by Russia. The summit has produced a number of important decisions in different areas. Optimal decisions have also been made in the sphere of economy, and this was further confirmed by the G20 Summit in Pittsburgh. We are also happy with the outcome of the discussions on the development assistance. It is crucial that the Summit participants acknowledged the necessity to provide support to the developing countries which have suffered most in the global crisis. One of the key issues on the agenda is food security. Russia is planning to make its contribution, too. We are ready to provide humanitarian aid to the countries in greatest need for it. An important innovation introduced by the Italian presidency was the proposal to carry out reporting on the previously accepted obligations. We believe that it would be useful to produce and overview and analyze the G8 decisions implementation rate on a wide range of issues. This work should be focused on the performance analysis in order to make clear what has worked out and what has failed. Serious decisions have been made in the political domain. The top-priority issues on the international agenda are the non-proliferation of weapons of mass destruction, and fighting terrorism and piracy. Introduction of G20 is gradually changing the global landscape. Much of the G8’s economic agenda has passed over to the G20. And this is right, since the G20 is more representative and reflects better the economic realities of the present-day multi-polar world. Thus, in terms of economic agenda, the G8 can be said to have already expanded de facto. It will be logical to expect the remaining G8 economic issues to gradually migrate to the G20 agenda. Yet, we believe that it would be premature to discard the G8, as it has its advantages – a more concise operating system, an informal atmosphere during discussions, traditions and best practices worked out over the last 10 years. We believe that it would be great use to analyze the G8 agenda in order to determine the issues where the G8 format would be most efficient. G8 needs to review long-term strategic issues. Russia’s priority for today is economy and lifestyle modernization and a shift to innovative development. We are interested in detailed discussion exactly of experience and the prospects of innovative development, including those directions and projects which could be realized within 5-10 years. Most probably, G 8 will continue to be interested in issues of assisting the development of countries in Asia, Africa, and Central America. In light of the meeting in Copenhagen, we would think it useful to discuss the strategy of actions to be taken in the sphere of climate and ecology within G8. However, in our opinion, the most important change to happen in G8 is the increase of attention to political issues, more frank and confidential conversation about strategic tendencies of world politics and global management systems evolution. We think that in the year 2010, the issues of non-proliferation of weapons of mass destruction, repelling global threats, enforcement of stability in regions will be in the centre of attention. One more important issue is the future of the dialogue between G8 and G5. We highly value Italy’s commitment into development of ‘8+5’ dialogue and we support Egypt joining it. We consider the decision on the Heiligendamm – L’Aquille process important and useful. At the moment, the prospects of ‘8+5’+1 format are being discussed. It’s necessary to assume that cooperation in that format is a huge achievement. Institutionalization of the G20, of course, may bring some correction into it. But in our opinion, turning down this format is unwise. We propose to develop it by means of joint discussion of a wide range of issues, including the political agenda. It’s obvious that in modern world, the main global problems may be solved only by means of close cooperation of the leading developed and developing countries. I was asked when experts will resume working on the new strategic arms reduction treaty. We have not stopped working on the treaty. At present a deep analysis of all the bulk of documentation worked out for the 8 rounds of negotiations in the capitals is being carried out and possible ways of settling the remaining issues is beginning to take shape. Then the delegations will meet in Geneva again. I will explain. On December the 23rd at the Kazbegi (Georgia) checkpoint, the second meeting of Russian and Georgian experts on traffic resumption via the Upper Lars vehicle checkpoint (Russia) – Kazbegi (Gerogia) took place in the presence of a representative from the Swiss Embassy to Georgia. As a result, a decision was made to resume traffic starting from March the 1st,2010. After the heads of the expert groups, as well as the representative of the Swiss Embassy to Georgia, sign the approved protocol, the Russian and Georgian parties will soon exchange the corresponding official notifications of traffic resumption through the Swiss intermediary. We are satisfied with the hard work we’ve done. We’ve reached a tangible result. We are hopeful that prompt traffic resumption via this checkpoint will be another step towards the restoration of relations between the people of our countries. As far as the charter flights between Georgia and Russia go, the situation is not looking good. As has been said before, the Georgian company Georgian Airways asked Russian aviation authorities to allow a number of charter flights on the route Tbilisi-Moscow-Tbilisi during the winter holidays, starting on December 26th. Taking into account the importance of the issue, which affects many citizens in both countries – especially those who have family in the other country – the Russian side decided to grant the request. On December 23rd, the Russian transport ministry officially requested some clarifying technical information from the Georgian aviation authorities in order to set up these flights. It also asked them to reply as soon as possible, since the requested dates for the flights were coming up. Unfortunately, the Georgian authorities replied only five days after the second request. Today the letters from the Russian transport ministry were returned to us, they had not even been considered. The Georgian side made up a demand to send these letters again, this time through the Swiss Embassy, which represents Russia in Georgia. In our opinion, this demand contradicts the order in which humanitarian and consulate affairs are supposed to be handled. This order is stipulated by intergovernmental agreements – between Russia and Switzerland and Georgia and Switzerland. But it is not even the most important thing. Obvious stalling and red tape make it impossible to set up the flights in a timely manner, the flights that people in Russia and Georgia had been looking forward to. But apparently this was exactly the goal of the authorities in Tbilisi. In a situation like this, the Georgian authorities are fully responsible for the failure of such important humanitarian mission. We can only express our regrets in this situation. I can say the following about the Georgian story. There is no agreement between Russia and Georgia in relation to the August 2008 conflict, and it cannot exist. As far as the Medvedev-Sarkozy agreements from August 12 and September 8, 2008 are concerned, the Russian Federation carried them out in full by withdrawing our peacekeepers from the security zone around South Ossetia. The mandate of EUMMG, placed on October 1, 2008 on Georgian territories, adjacent to Abkhazia and South Ossetia in accordance with Medvedev-Sarkozy peace plan, doesn’t assume monitoring of new South Caucasus republics. The head of the mission Mr. Haber knows this very well. At the same time, the European Union gave warranties that Georgia would not use force. But in reality EUMMG doesn’t do much to ensure that Georgian troops and forces stay at their permanent dislocation, as the Medvedev-Sarkozy agreements require. We would like the EU Mission to be more effective in this area, not in the public disclosure of false facts. We are closely following the situation with the cargo plane IL-76 detained at the Bangkok airport. The jet had illegal weapons and explosives from North Korea on board. According to the information we have, Thai authorities continue to investigate the situation in order to find the organizers of this crime, and determine the route of the plane and its final destination. We hope that Thailand will conduct the investigation in a timely manner and report the findings to the Sanctions Committee of the UN Security Council. No one should doubt the fact that the Russian foreign ministry pays close attention to the problems of Russian citizens. It is the state’s obligation. Lately there have been cases when Russian and Ukrainian citizens who got their passports in Transdniester have run into problems with Moldovan authorities due to the fact that they did not have residency registered with special institutions in Moldova. At the core of the problem is the conflict between Moldova and Transdniester (a region not in its jurisdiction), which has been going on for a decade. Every time there is a discrepancy between the internationally recognized Moldovan authorities and the status of the non-recognized Transdniester administration – whether it be consulate problems or complicated matters in the area of politics, social and economic spheres – there is always tension. A solution could only be found if the sides adopt a balanced and responsible approach, if they are ready to look for common grounds, especially in situations like this one, when people on both banks of the Dniester feel uneasy. Average people, including Russian and Ukrainian citizens living in the region, which, by the way, has never been divided by a “state border”, depend on this freedom of travel. Among other things, this helps them solve problems of their everyday living, which is not easy. Taking this into consideration, we will continue to look into all the complaints of Russian citizens living in Transdniester or traveling through the territory. The foreign ministry has some well-tested mechanisms of communication through diplomatic channels with the Moldovan foreign office. These are effective means of solving consular problems in bilateral relations. Russia is also one of the mediators in the Transdniester settlement along with Ukraine and OSCE. And as such it will carry out its mission and continue to help Chisinau and Tiraspol to work on confidence-building measures. There is hope that these problems will be solved, because just recently there were talks between law enforcers of the Republic of Moldova and of Transdniester. They discussed a number of issues, including the freedom of travel in the region for people and following through with the previous agreements to mutually accept certain documents. As far the recent events in Iran are concerned, we gave our assessment in the statement by the media department of the Russian foreign ministry. It says that we are concerned about what is going on in Iran. Unfortunately, we have to say that clashes between the protesters and police in Teheran and some other cities have aggravated the internal political situation in the country. We think that the main thing in this situation is not to lose temper, but to look for common grounds on the basis of law and take political efforts in order to restrain the internal conflict. You can find more detailed information on the foreign ministry’s website. According to the data we have, on December 17th another court hearing into Mr. Yamadaev’s murder took place in Dubai. Witnesses for the prosecution were put on the stand again. They testified that the two defendants – citizens of Tajikistan and Iran – were directly involved in the assassination. Also, a representative of the Dubai police testified in court that the State Duma deputy Mr. Delimkhanov was the key organizer of the crime. He was the one to give the Iranian defendant a case with the weapon. The gun, which was recovered from the crime scene, as the Commander-in-Chief of Dubai police Dhahi Khalfan Tamim testified earlier, belonged to one of Delimkhanov’s body guards (although, many are now wondering how Dubai police were able to determine that the weapon recovered from the crime scene belonged to a body guard of a Russian MP). The court hearing got especially interesting when the defense for the Tajik businessman, Mr. Ismatov, demanded to hear the testimony of the Chechen President Ramzan Kadyrov in court. The court denied the motion. The next hearing is scheduled for January 7th, 2010. The Foreign Ministry of Russia took note of the media reports about the situation with Russian sailors on fishing boats FU HAI-1 and FU HAI-7 belonging to Antel Investment Ltd. The Russian Embassy in Hanoi and General Consulate of Russia in Ho Chi Minh City are in close contact with the crew and the employer-company. The vessels are in the port of Vung Tau. There are two Russians in each crew and the employer’s wage payments are in arrears. According to them, payments are being made, but not in full. The crew is provided with food, their state of health is normal, and they do not have any problems with local authorities. We are also following the situation in the port of Kamran. There are ships AN FU, FU HAI-2, FU HAI-3, and FU HAI-5 with Russian crews on board, belonging to the same company – Antel Investment Ltd. Its management promises to settle the problem with the unpaid part of salaries as soon as possible. According to the general rule, the main responsibility for the crew members, including their provision with the right for repatriation, lies with the ships’ owners. Apart from that, the UN Convention on the Law of the Sea of 1982 says that the flag state of the ship is to care for the welfare of the crew members. Russian diplomatic offices are following the situation. On December 25th the Russian Foreign Ministry hosted a meeting of the governmental commission on the affairs of Russian nationals living abroad. The meeting was chaired by Russia’s Foreign Minister Sergey Lavrov. The participants reviewed the work with Russian nationals conducted in 2009 and outlined the Commission’s objectives for 2010, taking into consideration the issues of Russia’s cooperation with the Russian community abroad, discussed at the World Congress of Russian Nationals which took place in Moscow on December 1-2, 2009. A general meeting of the Russian UNESCO Commission took place on December 28. Ministers, officials from the President’s Administration and the Russian government, heads of Russian regions, and prominent figures in the area of education, science and culture took part in it. On December 11th, 2009 the Russian Language Center in Yerevan held an opening ceremony. 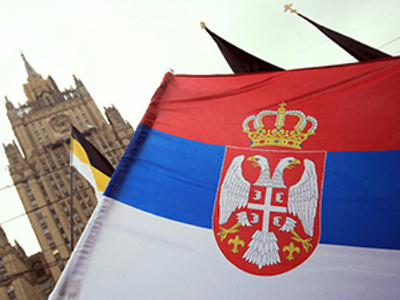 The center will operate under the umbrella the Russian Cooperation office in Armenia. Greetings from the Russian Foreign Minister Sergey Lavrov were read at the ceremony. Participants of the conference for the Armenian Russian Language Teachers Association took part in the event. Opening of the first such center in CIS is a very important event in the history of Russia’s relations with Armenia. It proves that there is close friendship between the two nations. The center’s priority is to maintain and strengthen the role of the Russian language, which, as the Armenian Education and Science Minister Ashotyan noted, is not just a legacy of the past, but part of our future together. Russian Cooperation plans to open similar Russian language centers in other CIS countries where this federal agency has its offices. And in conclusion I would like to congratulate China Radio International, its administration and staff on the 55th anniversary of their broadcasting in Russian. I would like to mention a great contribution of China Radio International to development of relations between Russia and China, as well as promotion of the Russian language. Question: Israel announced its plans to build new residential buildings in East Jerusalem. How can you comment on this? Answer. According to information reports, Israel has plans to build 700 new residential units in East Jerusalem. Such plans could not but raise serious concerns and condemnation. They contradict the generally accepted international legal basis of settlement, which is also the basis for the commitment to establish a long-term and fair peace at the Middle East. Such actions undermine attempts of the international community to create a good atmosphere for restoration of Israeli-Palestinian contacts, thus pushing further away the prospect of substantial negotiations on the issue of the ultimate status. We are talking here about Jerusalem as well. We call on Israel not to take unilateral actions, because they get in the way of resuming the peace process and mess its ultimate results. Q: What are the prospects for settling the situation around Iran’s nuclear program in light of the recent statement by the British Ambassador to UN, Mark Grant, about “possible imposing of sanctions by UN Security Council at the end of February 2010, if Teheran refuses to accept the terms, proposed by the six countries”? A: We would not comment on someone else’s statements. But we can comment on the issue itself – up until now the six countries have not considered imposing new sanctions on Iran. In our opinion, the sanctions that have already been imposed on Iran (three out of five US Security Council resolutions have sanctions) show that sanctions alone cannot solve the problem. We need to constantly seek new ways to achieve progress in negotiations. We think that the only successful solution to all the issues of Iran’s nuclear program is a dialogue based on mutual respect and consent. We think that it is very important for Teheran to follow the agreements achieved at the meeting with the six countries in Geneva on October 1. We think that the project proposed by IAEA which assumes that Iran’s reduced-enrichment uranium would be taken outside the country for further enrichment and producing fuel for Teheran’s research reactor, could become the first realistic measure which will help restore trust to Iran’s nuclear program and its peaceful nature as well as create an atmosphere of trust, which is necessary if we want to start a dialogue. Teheran has not given any official answer about the proposed solution yet. There is no progress in setting the agenda for the next meeting of the six countries and Iran on the basis of Geneva statements. Nevertheless, our efforts on the bi-lateral level, as well as in the framework of the six countries, aimed at convincing Iran to not miss this unique opportunity to start a dialogue, will not stop. All the proposals on the issue are still on the negotiations table. But we would like to note that Russia has been and still is supporting the policy of the so-called dual-track approach to Iran. I would also like to draw your attention to the Minister’s statements concerning Iran’s problem, made at the recent press-conferences which took place after his talks with our foreign partners. You can find the scripts at the foreign ministry’s website. Q: Can you comment on Putin’s statement that Russia needs to develop its strategic arms and the same time exchange information with the USA? A: The media is now quoting the statement made by the head of the Russian government Vladimir Putin on the issue. But I don’t think it is appropriate to comment on statements made by our country’s Prime Minister, who acts as his job requires and gives a deep serious political assessment of the things you just mentioned. Q: After his talks with Japan’s Foreign Minister Katsuya Okada, Russia’s Foreign Minister Sergey Lavrov said that they had discussed an unusual approach to resolving territorial issues. Does it mean that a specific proposal for such an unusual solution has already been made? A: All the information about the talks between foreign ministries of Russia and Japan has been disclosed at the Ministers’ press conference. I don’t think I can add anything to yesterday’s statements. We are continuing our dialogue with our Japanese partners. We have good prospects for solving all kinds of problems and a chance to strive for mutual understanding in the areas of mutual interest, there are quite a few of those areas, and they all were mentioned at the press conference. Q: How does the Russian Foreign Ministry see the outcome of the Middle East peace process in 2009? And what does the Foreign Ministry think about the future prospects of this process in the region and the possibility of finding a solution in this conflict? A: I don’t think I can add anything to what was already said at the press conference of Sergey Lavrov and his Egyptian colleague several days ago in Cairo, where they shared in detail our countries’ views on the possible future of the Middle East peace process. Sergey Lavrov also commented on this in his interview to TV news channels Vesti and Russia Today. The script of the interview can be found on the foreign ministry’s website. All the things that the Foreign Minister shared are still relevant. I think that at the Minister’s press conference, tentatively scheduled for January 20th, you will be able to touch on the issue again and ask for his comments. Q: I would like to ask about the ship captured by Somali pirates. Are there Russian citizens among the crew and what actions will be taken in order to free the vessel? A: We received information from several non-government media sources, and right after that we sent an inquiry to our embassies in countries neighboring with Somalia. As you know, there is no Russian embassy in Somalia, which complicates things whenever we try to find out information about ships captured off the coast of this country. We are taking all measures in order to verify this information, and find out if Russian citizens were among the crew. If this is confirmed, we will do what is necessary to free our citizens through the neighboring states that we have diplomatic relations with. At this point I can tell you that we have sent inquiries, for example to our embassy in Kenya. We are working with our partners, who have helped us many times in the past by getting us this information through their channels. Dear colleagues, I would like to wish you a Happy New Year, health and success. See you in 2010.